New vice president's berating of media outlets only servesto fuel anti-foreign sentiment. 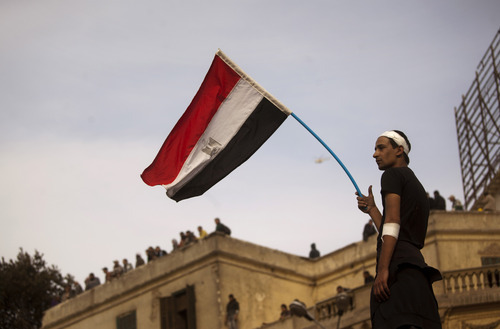 Cairo • Menacing gangs backing President Hosni Mubarak attacked journalists and human-rights activists Thursday in an ugly turn in Egypt's crisis as government opponents pushed supporters out of Cairo's main square in a second day of battles. 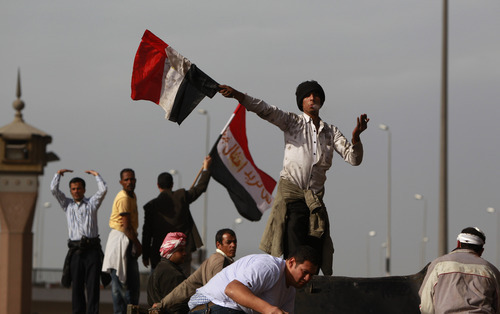 Organizers called for protesters trying to topple the regime to fill every square in the capital Friday. 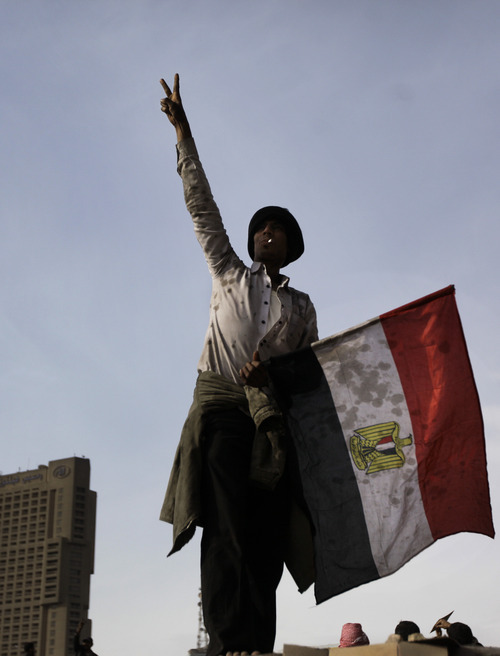 The new vice president, considered the first successor Mubarak has ever designated, fueled anti-foreign sentiment by going on state television and blaming outsiders for fomenting unrest. The government has accused media outlets of being sympathetic to protesters who want the president to quit now rather than serve out his term, as he has vowed to do. Soldiers, mainly protecting government buildings and important institutions, remained passive as they have since replacing police on the streets almost a week ago. Few uniformed police have been seen around the city during that time. Protesters allege some of them have stripped off their uniforms and mixed in with gangs of marauding thugs. "When there are demonstrations of this size, there will be foreigners who come and take advantage, and they have an agenda to raise the energy of the protesters," said Vice President Omar Suleiman on state television. One Greek journalist was stabbed in the leg with a screwdriver, and a photographer was punched in the face and his equipment smashed. Arabic news network Al-Arabiya pleaded for the army to protect its offices and journalists. 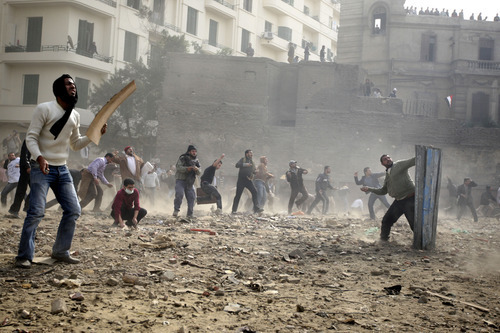 Al-Jazeera said four of its correspondents were attacked. The BBC's foreign editor said security forces had seized the network's equipment in a hotel to stop it from broadcasting. White House spokesman Robert Gibbs denounced reports of "systematic targeting" of journalists. 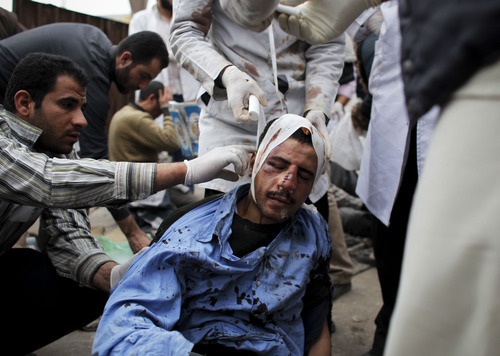 Human-rights activists were also targeted. Military police stormed the offices of an Egyptian rights group as activists were meeting and arrested at least 30, including two from London-based Amnesty International. 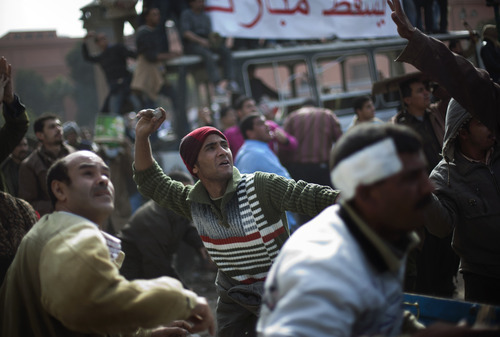 The crisis, which began on Jan. 25 when protesters launched the biggest challenge ever to Mubarak's 30-year rule, has grown perilous. 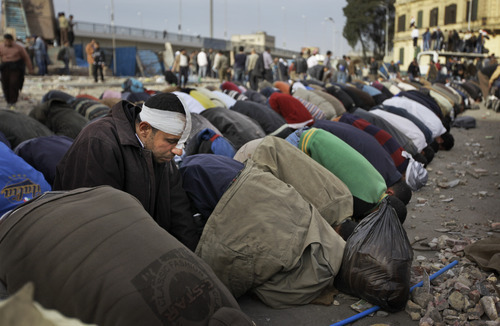 The day after Mubarak went on television late Tuesday and refused to step down, thousands of his supporters attacked anti-government protesters in Tahrir Square, where they had held a peaceful vigil for days. 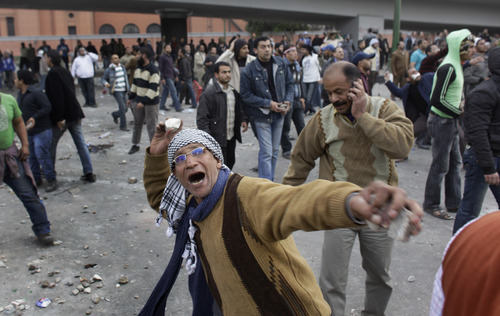 The Mubarak supporters started battles with firebombs, machetes and chunks of pavement that lasted throughout the night and all day Thursday. 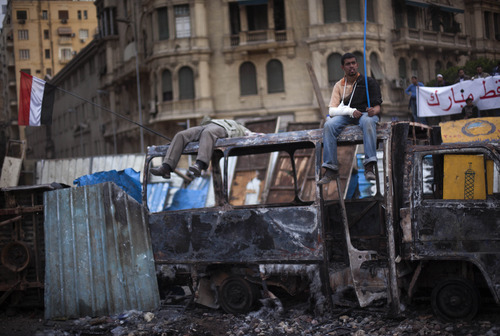 After nightfall, the fighting died down, with protesters' hold on the square and nearby streets unbroken. Nearly 10,000 remained, some dancing and singing in victory, as others  battered and bandaged  lay down to sleep or drink tea in the center of the rubble-strewn roundabout. 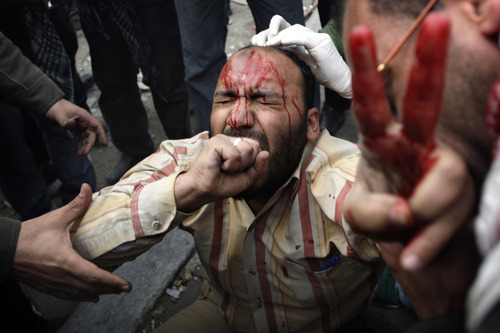 At least eight people have been killed and about 900 injured in the two days of fighting around Tahrir Square.